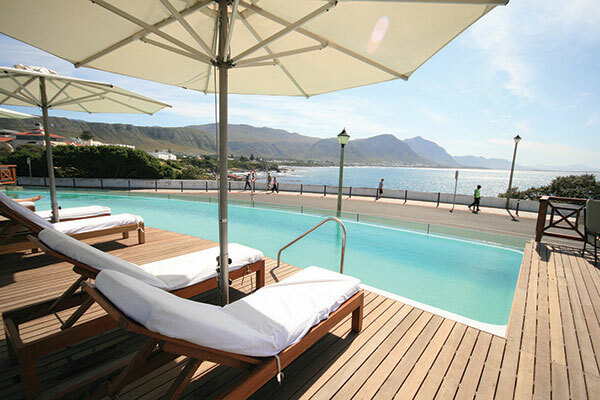 Harbour House Hotel has a prime seafront position in the Old Harbour part of the holiday-town of Hermanus, where whale watching is excellent. The hotel offers easy access to the town, the seaboard and the beautiful cliff paths that twine around the bay. Guests are accommodated in stylish, well-equipped rooms in the thatched Manor House, or in the modern New Wing and Harbour Square. Luxurious leisure time can be spent on The Lookout Terrace, with the vast ocean ahead, and at the on-site Selkirk’s restaurant and Wine Bar. There's currently no specials at Harbour House Hotel. Harbour House Hotel has a conference room in the Harbour Square wing, accommodating 45 delegates. The facility is air-conditioned and has an adjacent breakaway room.